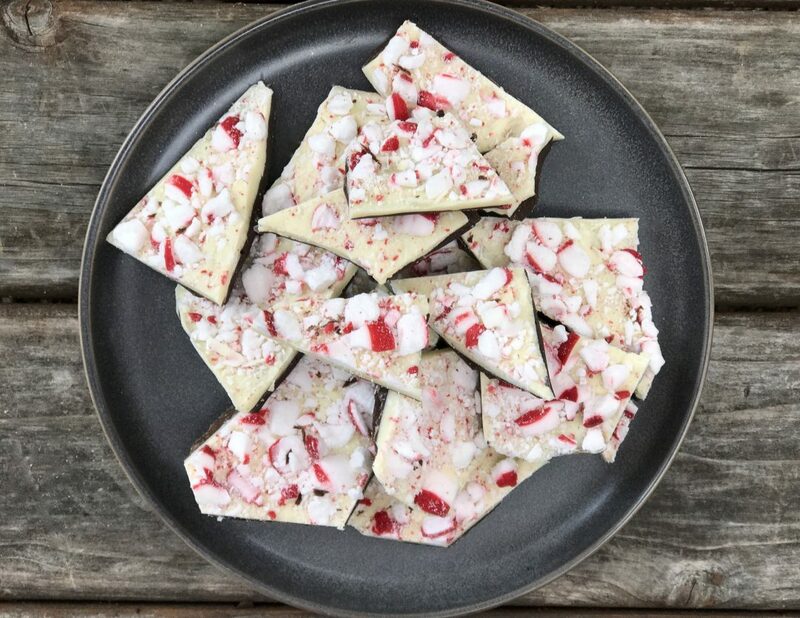 Peppermint bark, as it’s called, is almost non-existent during the year, until Christmas time when it is absolutely everywhere. I don’t typically like the commercially made verities, but when you find an artisanal one, it can be fantastic. 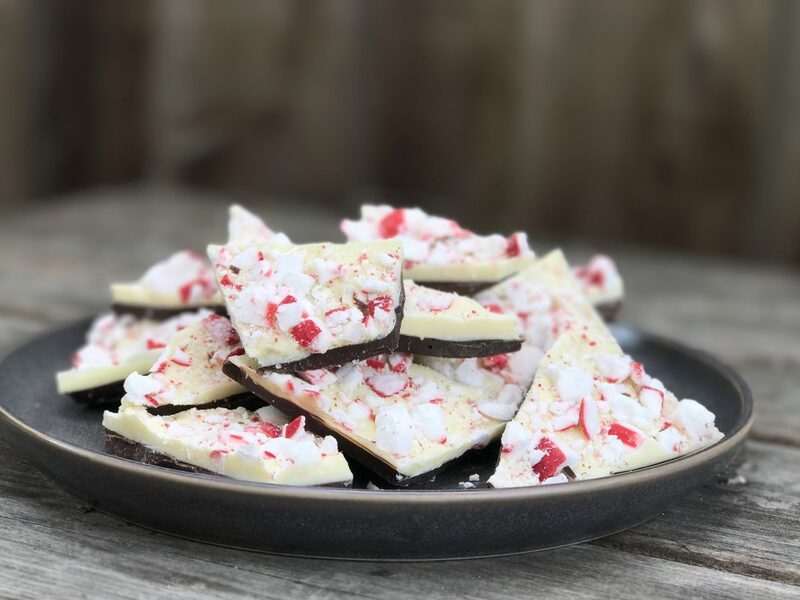 Peppermint bark is a rich chocolate confection, it’s not something you eat a large amount of; the peppermint prevents that. It’s something you nibble on, and a little bit ordinarily goes a long way. It’s great with coffee after a meal and it makes a a nice treat for friends and family. Peppermint bark can be traced as far back to the 1960’s but it was not nearly as popular until Williams-Sonoma introduced their now famous version of the candy in 1998. Although other companies now sell it, William-Sonomas’ version is by far the most popular, despite only selling it during the last 12 weeks of the year. William-Sonoma estimates they’ve sold more than five million (1-pound packages) of this lovable holiday treat in the last decade. That is a lot of peppermint bark! 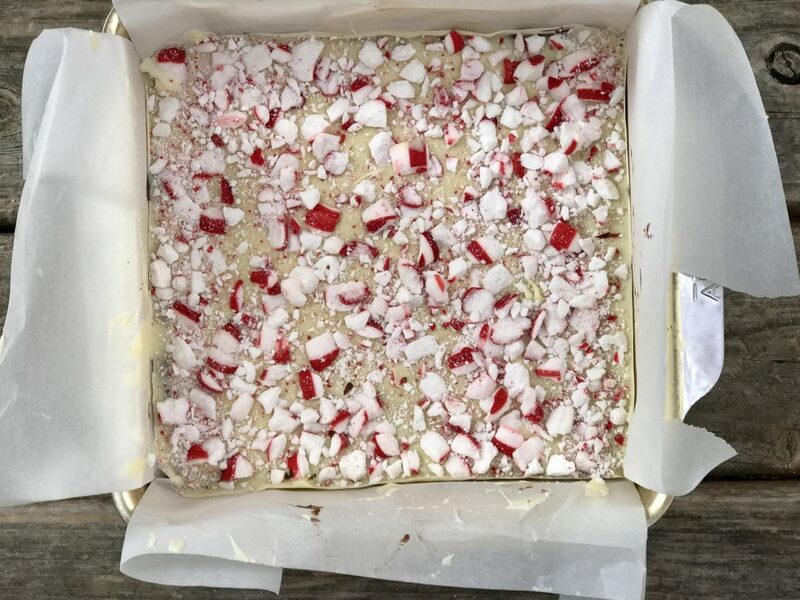 Peppermint bark is actually not very complicated to make, it only has four ingredients, but there are few important things to remember: First, you want to use good quality chocolate. The taste will be as good as the chocolate is. Second, you must temper your chocolate. Using a double boiler works best. Third, leaving a bit of chopped chocolate (or seed chocolate) unmelted to be added during the tempering process is helpful. Tempering chocolate is a term that many home cooks are fearful of: don’t be. Simply melting chocolate will not be enough to guarantee that the peppermint bark will become solid at room temperature. Tempering makes this possible. Tempering makes chocolate smooth and glossy. It prevents the dull, grayish color and almost wax-like texture that you can see when the cocoa fat separates out. Instead, the result is a more crisp chocolate. 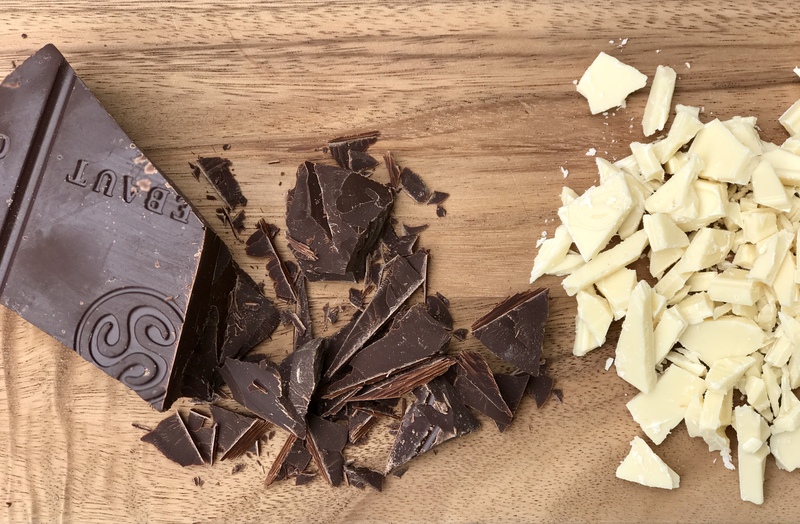 If you have never tempered chocolate before, check out this link, which shows you how to do it properly. 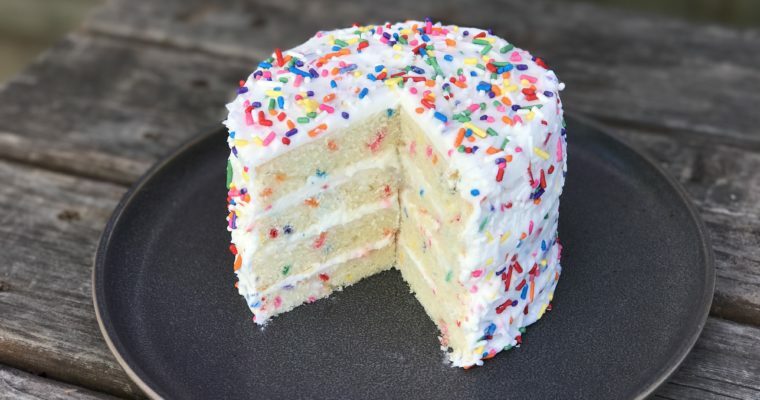 This is a great recipe to work on with kids, if they (and you) are interested. You place peppermint candies in a sealed Ziplock bag, with most of the air removed. Using a rolling-pin, gently crush the candies into smaller pieces. (Not surprisingly, this is the part kids love). 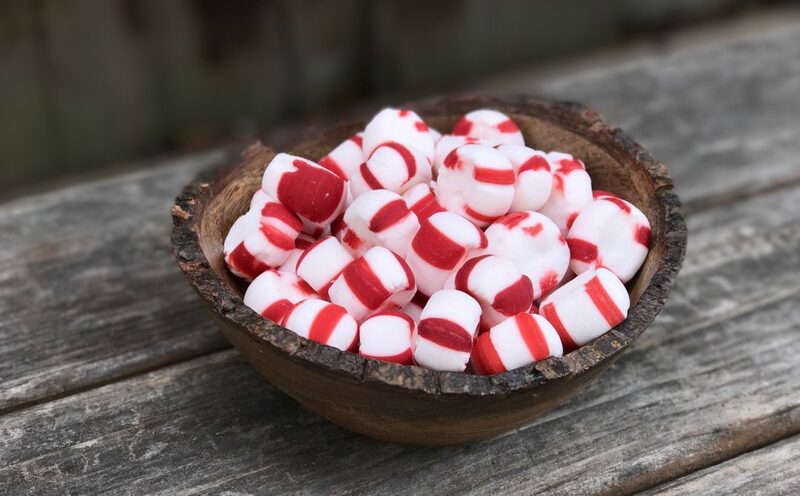 Just be careful not to over crush the candies—you don’t want peppermint powder, you want to have small chunks with visible red stripes, since they give the peppermint bark its distinct appearance. Assembly of the bark is rather easy after the tempering. 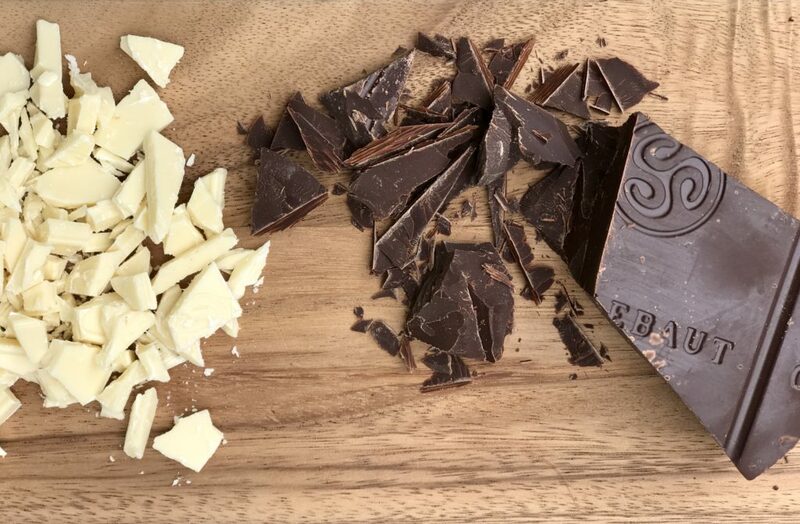 Semi-sweet chocolate goes first, followed by the white chocolate. The crushed peppermint candies get sprinkled on top off the white chocolate before it sets, so that the candies adhere properly. Once the peppermints are on, the bark gets refrigerated to harden before breaking up into smaller pieces. This a fun festive sweet treat for the holidays and a perfect hostess gift for any and all. Step 1 Line an 8×8 square baking pan with parchment paper, leaving some overhang on each side. Note: The best way to do this it to place one piece down overlapping two sides, rotate the pan and place a second sheet down so it overlaps evenly and does not bunch up in the corners. Step 2 Place the peppermint candies in a large Ziplock bag, remove most of the air and seal. 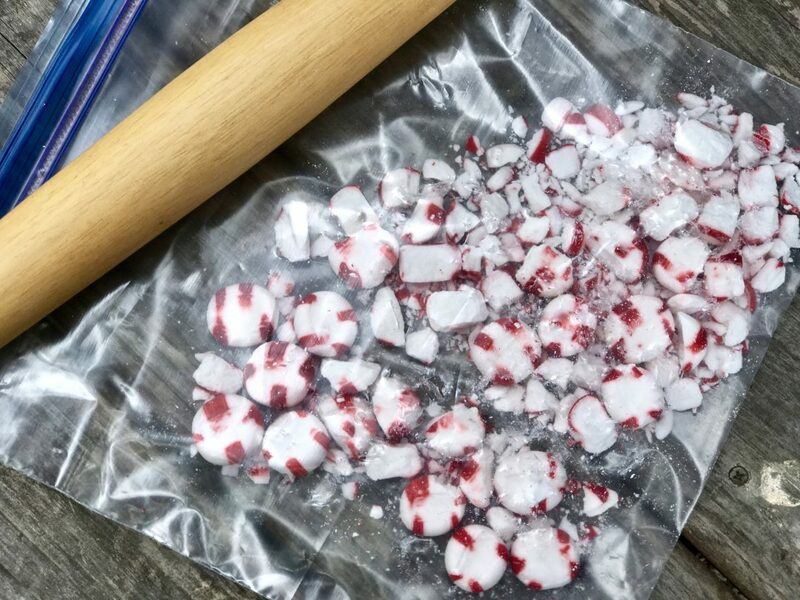 Place the bag on a flat working surface and using a rolling-pin, gently smash the candies breaking them up into small pieces for the topping. Set aside. Step 3 To tamper the semi-sweet chocolate, it helps to use a double boiler if you have one handy. If not, fill a larger stockpot a third full with water and place a second, slightly smaller sauce-pot on top of it. The water should touch the second sauce-pot when placed inside. Bring the water to a low simmer. Step 4 Place most but not all of the semisweet chocolate into your double boiler and allow the heated water underneath to slowly melt the chocolate. Stir occasionally as needed. Test the chocolate temperature with a kitchen thermometer, remove from the heat once the chocolate reaches 110 degrees. Step 5 Place the melted chocolate into a small mixing bowl. Add the remaining chopped chocolate and with a rubber spatula, stir continually, until the chocolate temperature lowers to about 90 degrees F. Once the chocolate has cooled, add a couple drops of the peppermint extract. Step 6 Pour the tempered semisweet chocolate into the prepared baking dish and using a spatula, spread the chocolate out evenly. Gently tap the pan on the counter to remove any air bubbles within the chocolate. Set aside. Step 7 Clean and dry the small sauce-pot and repeat the above process now with the white chocolate. Remember to reserve some of the chopped white chocolate to mix in at the end. Step 8 Place most but not all of the white chocolate into your double boiler and allow the heated water underneath to slowly melt the chocolate. Stir occasionally as needed. Test the chocolate temperature with a kitchen thermometer, remove from the heat once the chocolate reaches reads 105 degrees F.
Step 9 Remove from the heat, place in a second small mixing bowl. 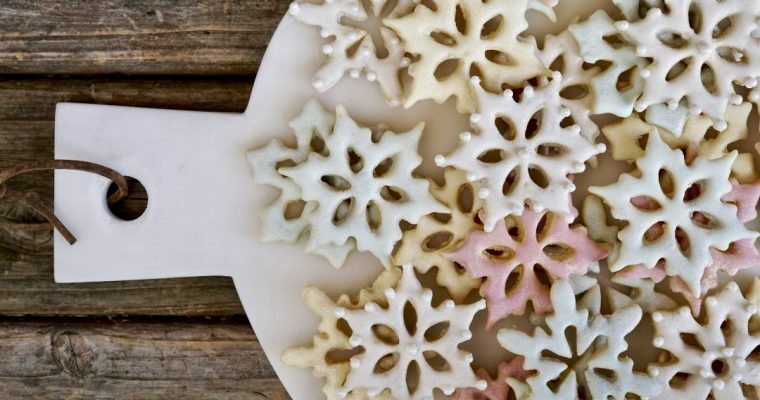 Add the remaining chopped white chocolate and stir continuously until the white chocolate cools down to about 84 degrees F . Once cooled, add the peppermint extract. Step 10 Pour the melted white chocolate evenly over the semisweet chocolate and spread evenly. Step 11 Immediately sprinkle some crushed peppermint candy all over the top of the white chocolate layer. Step 12 Refrigerate the bark to set for at least 4 hours. Step 14 To finish the bark, remove from the refrigerator and gently lift the parchment paper out of the pan and place on a cutting board. Using a serrated knife, cut the bark up into desired sizes. The bark can be stored in an airtight container, unrefrigerated for one week.